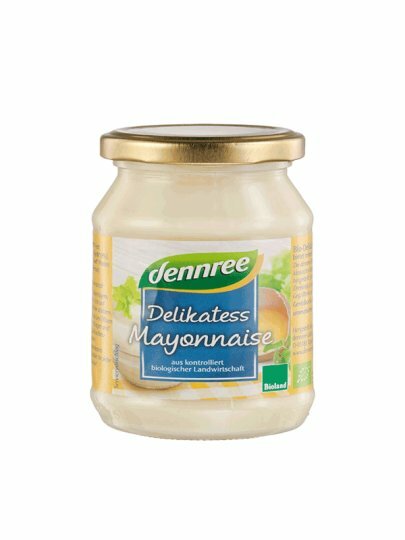 Dennree mayonnaise is prepared using a classic recipe with sunflower oil and eggs. It is ideal for sauces and salads, but also good for potatoes with sandwiches and sandwiches. Enjoy the creamy and aromatic taste!